The Rawalpindi Cantonment Board’s Food Department has fined Rs0.35 million and sealed three bakeries for selling substandard items and having poor hygienic condition. The personnel of Food Department conducted raided warehouses of Nirala Sweet, New Nirala Sweets and Karkhana Bakery and sealed them for not having proper hygienic condition. 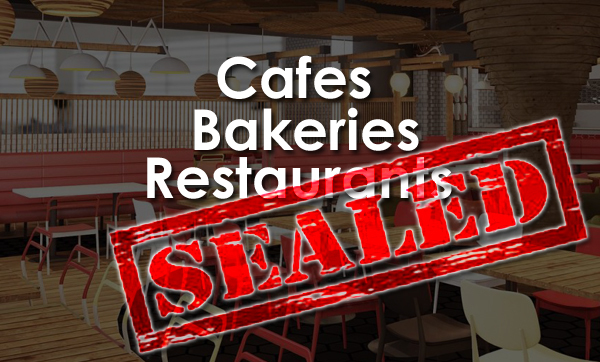 Separately, the personnel conducted checking of Wonder Bread Bakery, Nirala Sweets, Falcon Bakers, Nisar Charsi, Abbassi Hotel, Inam Tikka, National Burger, Datakabana, and imposed a total fine of Rs0.3 million on these bakeries for selling substandard food items. The samples of food items have been taken from 27 other food outlets and sent to laboratory for testing. All the hotels, restaurants and bakeries have been warned to ensure cleanliness and healthy condition otherwise, strict action would be taken against them according to the law.